"Passive" labor market policies involve paying money to the unemployed, like with unemployment insurance. "Active" labor market policies involve a range of programs to assist the unemployed with finding jobs. In both categories, the US has long lagged well behind other high-income countries. Chad P. Bown and Caroline Freund review the evidence in "Active Labor Market Policies: Lessonsfrom Other Countries for the United States" (Peterson Institute for International Economics, January 2019. 19-2). 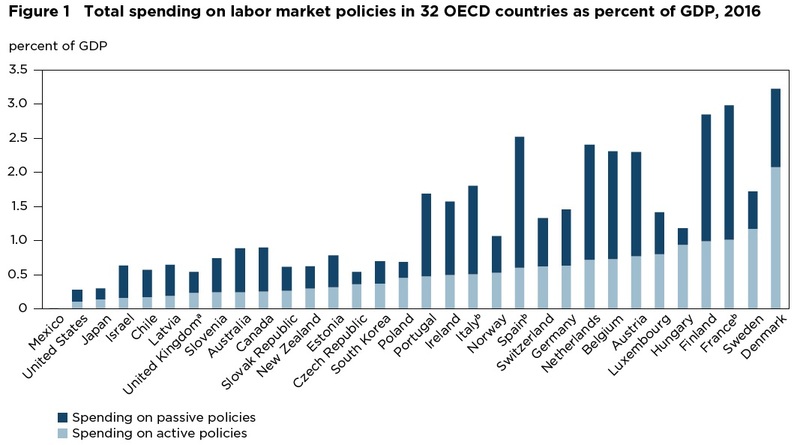 Here's the difference in spending on passive and active labor market policies across countries. Notice that the US is second from the left, above only Mexico in this comparison group of OECD countries. The most common ALMPs are placement services (public employment services [PES] and administration), training, employment incentives, and direct job creation. ... There is significant variation across the major economies, with the United Kingdom and Germany relying largely on job placement services; Austria, Finland, and Denmark targeting training; Luxembourg and Sweden offering employment incentives; and Hungary, France, and Korea using direct job creation as their main form of assistance. 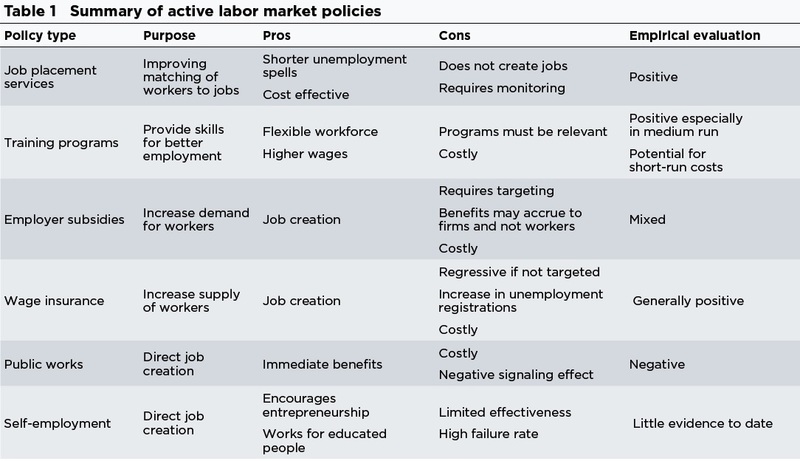 Here's a table from the authors summarizing the state of knowledge about active labor market policies. 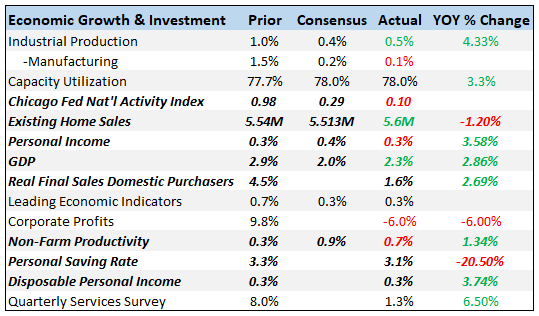 The United States currently spends about 0.1 percent of GDP on active labor market policies, compared with an average of 0.5 percent of GDP in 31 other OECD countries. Bringing the United States to the average could help stem the decline in labor force participation, return millions of working-age Americans to employment, supporting their well-being and US economic growth. Previous How to Reduce Health Care Costs?